The Pakistani education activist Malala Yousafzai has been chosen as the 2013 laureate for the Sakharov Prize, according to senior sources in the European Parliament, pending official confirmation on Thursday. That her name has also been floated for the Nobel Peace Prize awarded a day later will not hurt her chances, EURACTIV has learned. On Thursday morning (10 October), a conference of parliamentary group presidents will select the laureate for the EU’s yearly human rights award, the Sakharov Prize for Freedom of Thought. 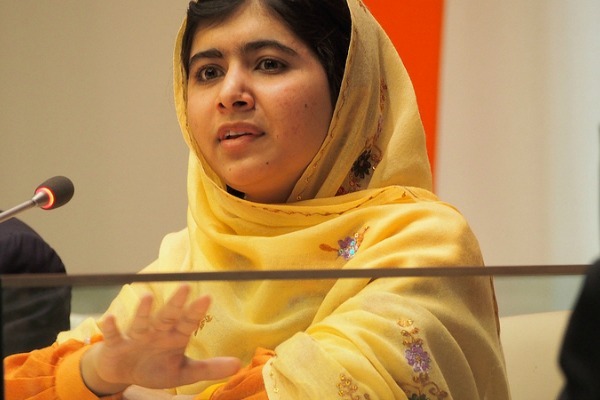 Hannes Swoboda, the president of the European Parliament's Socialists and Democrats (S&D) group, said political group leaders have settled on Malala Yousafzai, the Pakistani girl who was shot in the head by the Taliban for advocating girls' education. “I hope my colleague presidents stick to the decision,” Swoboda told EURACTIV. Malala enjoys the support of the centre-right European People's Party (EPP), the centre-left S&D group, the liberal ALDE group and the conservative ECR group, who all supported her nomination for the 2013 Sakharov Prize. Other shortlisted candidates are US whistleblower Edward Snowden, who was nominated by The Greens and European United Left/Nordic Green Left groups, and Belarusian political prisoners Ales Bialatski, Eduard Lobau and Mykola Statkevich. The Sakharov Prize winner will be presented the award during a ceremony on 20 November 2013 in Strasbourg. Malala, a 16-year-old Pakistani girl who campaigned for girls’ right to education, was shot in the head by Taliban a year ago. She then travelled to the UK for medical treatment. She continues to campaign for women’s rights and the right to education, including giving a speech before a UN youth assembly in New York last July. Over the past weeks, the Pakistani girl has also been tipped as this year’s Nobel Peace Prize. The winner will be announced this Friday (11 October) after the Nobel committee ends its deliberations in Oslo before noon. Though a winner is hard to predict, “Malala stands a fairly good chance to win the Nobel peace prize,” according to Kristian Berg Harpviken, the director of the Peace Research Institute Oslo (Prio). With the announcement of the Nobel Peace Prize and Sakharov prize just a day apart, the European Parliament will have to share the limelight during its yearly human rights award. “[Malala] deserves it personally. Awarding her sends out a clear signal, encouraging women’s rights and the right to education; she is a striking example of the fact that women still have to fight for the minimum of equality in certain parts of the world,” the S&D president added. The Sakharov Prize for Freedom of Thought has been awarded by the European Parliament every year since 1988 to individuals or organisations that have made an important contribution to the fight for human rights or democracy. The award is accompanied by a stipend of €50,000. Andrei Sakharov, who gave his name to the “European Prize for Freedom of Thought” was a Soviet dissident and physicist, who “sought to raise awareness of the dangers of the nuclear arms race”. He defended political prisoners and victims of political trials. Sakharov was awarded the Nobel Peace Prize in 1975, but he was not allowed to leave the Soviet Union to collect it. 11 Oct.: Announcement on the 2013 Nobel peace prize laureate by the Nobel committee in Oslo. 20 Nov.: Award ceremony of the 2013 Sakharov prize in the European Parliament in Strasbourg.